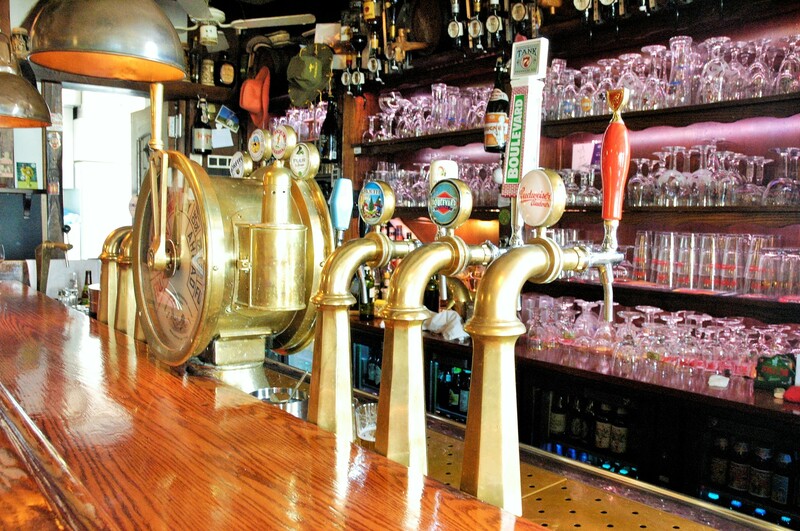 To our delight, an increasing number of cafes pours our beers. Some just joined the club, others have been loyal customers for years. In this edition of our cafe series, an impression of a bar from the latter category. A free house along the IJ river. It didn’t stop Steve and Adelina from settling at this little corner along the IJ river. They created their own so-called “free house” here. Since they terminated the contracts with the dominant pilsner brands, no single brewery dictates what beer they pour at Westerdok. Steve installed a row of extra fridges and filled them what he likes best. They means a lot of Belgian beer, with a strong abbey and Trappist influence. “What’s the point of all those beer?”, neighbourhood residents asked when he started. But nowadays not only the visiting beer lovers follow the informed recommendations of the couple running the place. “Things have changed”, Steve concludes with regard to the evolution of the Dutch beer drinker. Steve knew the founder of Brouwerij ‘t IJ, who brewed in his very own brewery, and has been pouring our beers for years now. Steve happily admits that the quality has improved a lot since. So nowadays you can spot rows of ostrich labelled bottles behind the glass of his fridges. Our I.P.A. and Flink currently even hold a place on tap. The beer that flows from those ten taps changes regularly. Currently you could get a fresh glass of Tank 7, that firm American saison. Or a Chimay Blue, which turns out a surprisingly sparkling brown al when pumped from the keg. Just want to watch the boats pass with a pilsner in hand? The Czech Budweiser Budvar replaced the banned Amsterdam brands. Café Westerdok honours the concept of the “dock”. A safe harbour for anyone looking for well crafted beer. You will find shelter after following the IJ river westwards from Amsterdams central station. An easy fifteen minute walk. On Monday, Steve and Adelina hand the key to local residents, who hold their meetings there. But the rest of the week Westerdok is open to anyone from four in the afternoon. You will find one or both of the owners behind the bar. Which means a warm reception and great advice on great beer. 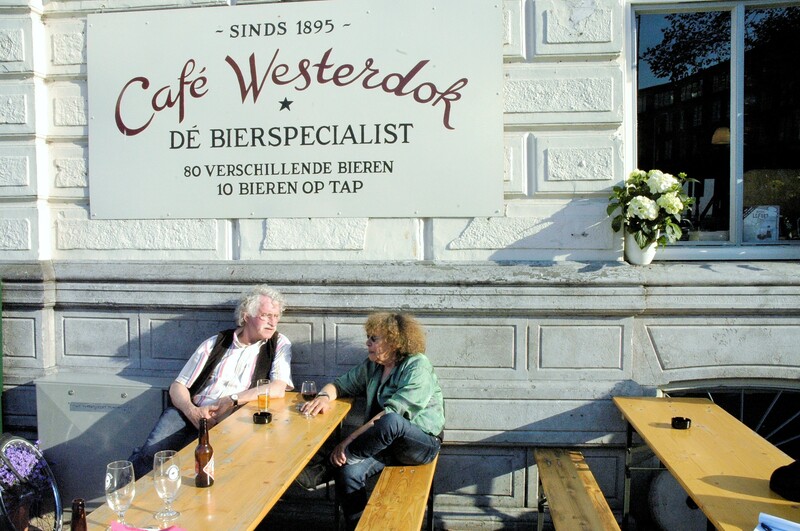 One comment on "Café Westerdok: great beer along the IJ river"
Great place! Really nice owners and a nice selection of beers.